The Western New York GIS Users Group is proud to announce that plans are underway for the Annual WNY GIS Summer Social! This event is open to all that make, maintain or benefit from GIS (and their friends too). The social brings together governmental, private sector, and non-profit GIS users and managers in a fun and casual setting for meeting and networking with other GIS professionals. For the social to succeed, however, we need sponsors! Therefore, we would like to invite you and your company to attend and participate in the 2017 Summer Social and invest in the advancement of GIS in Western New York. ● Recognition by the President of WNY GIS User Group during welcome speech. Not the boat on which we will be having this event. Sorry. Tickets also INCLUDE a variety of appetizers, drinks, (beer, wine, pop) and music. The Western New York GIS Users Group would like to invite you to the USS Little Rock for a fun evening of conversation, food, and drink. Situated directly next to Canalside, the USS Little Rock provides sweeping views of the Buffalo River, Lake Erie, and the thriving waterfront area of the City of Buffalo. Being the only guided missile cruiser on display in the U.S., it’s a perfect opportunity to explore the deck with friends & family. The event is open to all. If you want to learn more about the WNY GIS Users Group, GIS/mapping, technology, or just want to have a great time, this is the place to be. The USS Little Rock is a Cleveland class cruiser in operation from 1945 until 1976. It is the sole survivor of the Cleveland class of warships. The ship is 610 feet long and has a displacement of 10,670 tons. 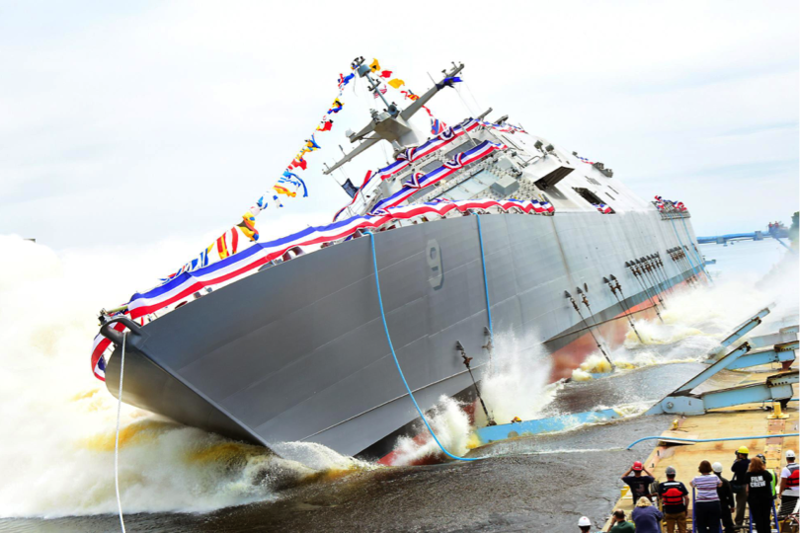 It’s the only guided missile cruiser on display in the U.S. A new USS Little Rock will be commissioned alongside the old Little Rock at canal side later this year!